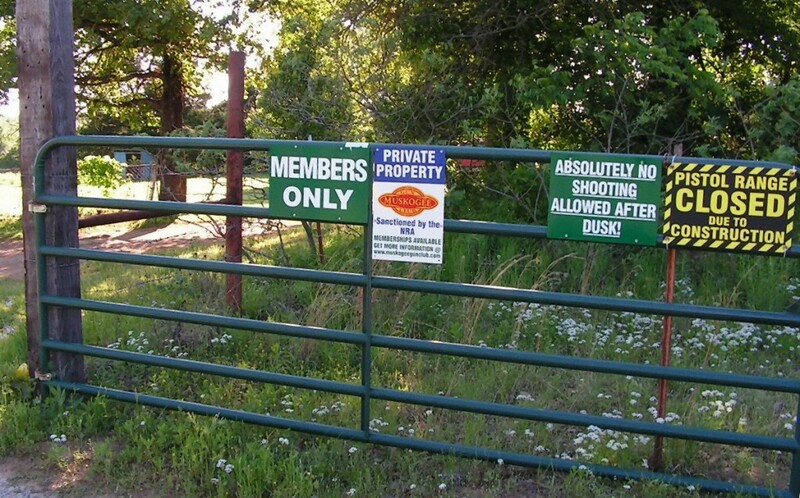 The Muskogee Gun Club is an NRA-recognized organization founded to encourage organized pistol and rifle shooting among its members. Revolver, 3-gun, and Shotgun usage is also supported, and Archery enthusiasts are welcome. We are all volunteers and all dedicated to the safe and proper use of firearms. 3rd Monday of each month, 7 p.m. at Muskogee Public Library, 801 W. Okmulgee Street. Due to holidays in Jan and Feb meetings are held on the third Tues at the same location. Special – held occasionally and announced to members by mail and/or email. The aim of our activities is for members to gain knowledge of safe handling and proper care of firearms, as well as to improve their marksmanship. We are family-oriented and want membership to be a great experience for you and your loved ones. Best of all, as a member you will make new friends who share a common interest. We also offer opportunities for practicing and learning more about archery. You do NOT need to be a member of the NRA to join. Fill in the membership form and bring it with a check for the dues amount to our next regular meeting. Dues are pro-rated for new members. Renewing members must pay annual dues in full before June 1st of each year. Minimum age for members is 21 years old.